I’ve been thinking lately about what management consultants do. My conclusion wasn’t a particularly revolutionary one: namely that ultimately a good consultancy will ensure that the right people are in the right place in a business, so it works and grows in the most effective way. But this idea – of talented people being at the heart of ensuring a business works better – particularly struck me while we were completing a project for AlgoMe Consulting. They have spent the past couple of years building an online platform that matches people with career opportunities, mentoring relationships and the kind of professional networking events that can be so effective in business life. Our brief from AlgoMe was to build on this, creating a management consultancy brand and web design project – utilising the creative work from the platform and defining them as a standalone business. We often tackle projects which are related to one another. For instance, it’s only natural that one interior design-industry project to lead to another. Ditto the legal or financial sectors. Those guys in particular only trust you with work if you’ve got a track record in the field. Then, something completely different comes along. There’s a connection through our long-time client Longwall Ventures, but still. We’re talking about the outboard motor engines of speedboats. Introducing: the Joost Engines brand launch. This week sees the launch of Live Pura Vida, a new website promoting a holistic and healthy lifestyle. I am really proud of this piece of work – it ticks all sorts of boxes for me creatively! In particular it gives us a fresh viewpoint on graphic design for lifestyle brands. what appeals to people today seeking a more rounded diet and lifestyle? is it enough to just appeal to women? …and how do you keep an open, fresh approach in that regard? is it possible to really stand out in a very crowded marketplace? This Spring we are working on a series of hugely varied business startup design projects. This has long been a favourite kind of project for us… we love helping a fantastic new idea take shape from a visual perspective. Added to which, the reaction from its founders as their business plan becomes a reality from a visual perspective is inevitably worth every penny we get paid. 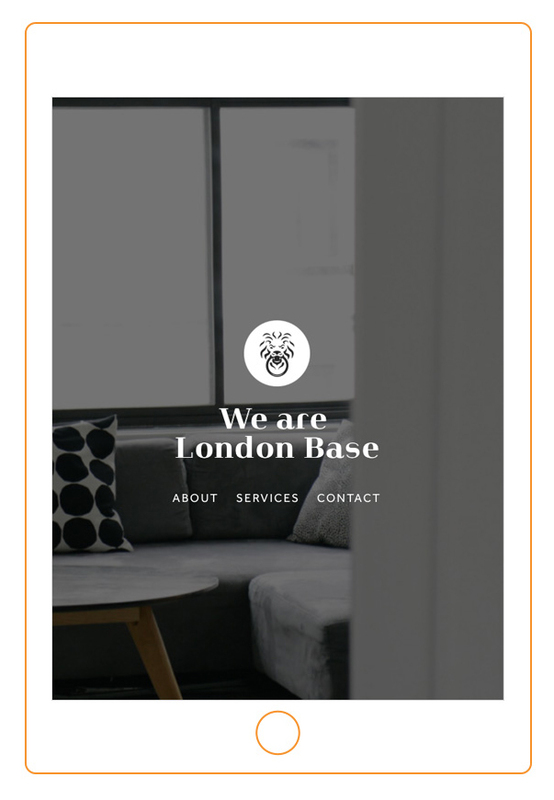 The first such startup project of 2016 to ‘go live’ is London Base. This is a business that manages property portfolios on short let terms, usually via online services such as AirBNB or HomeAway.